On Saturday, Disegno collaborated with British Council, The Finnish Institute in London, and Argent to host a walking tour followed by a panel discussion as part of the Open Senses Festival programme. The walking tour of the King’s Cross redevelopment saw the group take in the cityscape from the roof terrace of a multi-use building designed by Duggan Morris Architects. As well as visiting Gasholder Park, a circular lawn and sculpted canopy designed by Bell Phillips Architects using part of the iconic Pancras Gasworks structures built in the 1850s. 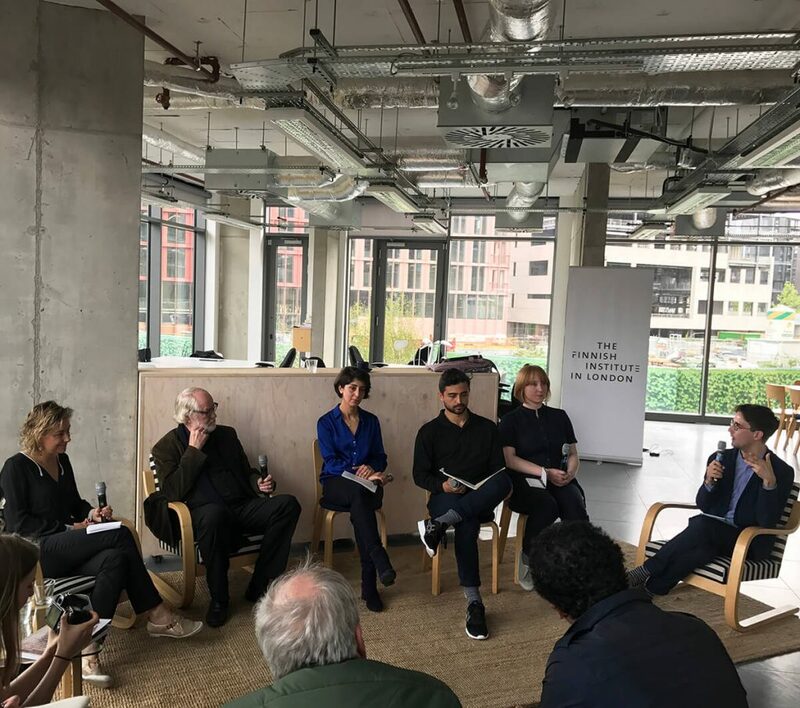 The talk examined urban development in Helsinki and London, with panelists Juhani Pallasmaa, Kate Goodwin, Luca Picardi, Maria Gasparian and Holly Lewis.